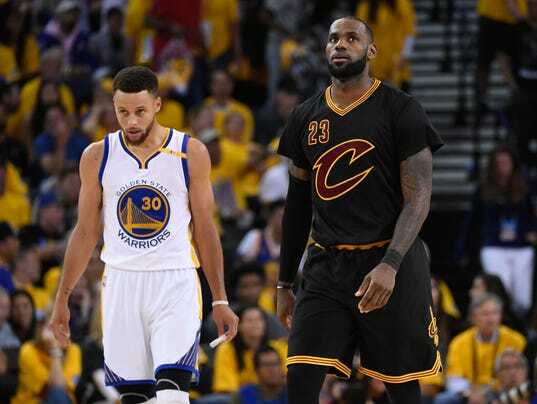 SportsPulse: While All-Star captains Lebron James and Steph Curry are entitled to draft their teams however they want, USA TODAY Sports’ Sam Amick and Jeff Zillgitt have their own thoughts. Channeling our inner captains LeBron James and Stephen Curry, USA TODAY Sports’ NBA desk took the liberty of mocking the All-Star draft ahead of Thursday’s team announcements. Jeff Zillgitt, as James, had the No. 1 pick and opted for 2017 Finals MVP Kevin Durant. That ensured Sam Amick, as Curry, wouldn’t get to build an All-Star super-team out of the four Golden State Warriors that were selected.